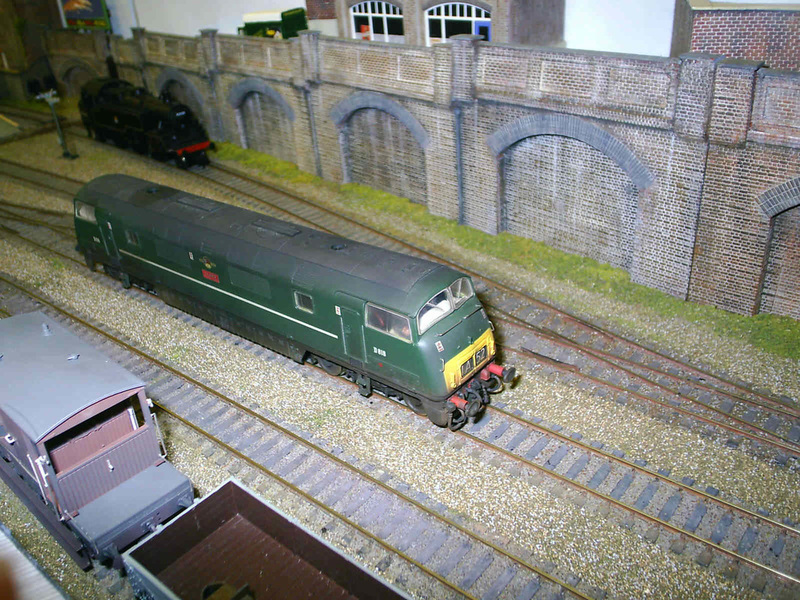 North Hurst at 33’ actually consists of 2 separate ex SR layouts, (Chinehurst & North Park, which individually toured the Home Counties over the last 20+ years. Both have also appeared in the model press). We decided to join them together, (although they can still be operated individually), totally rewiring, upgrading to 3rd rail electric & revamping the scenery. 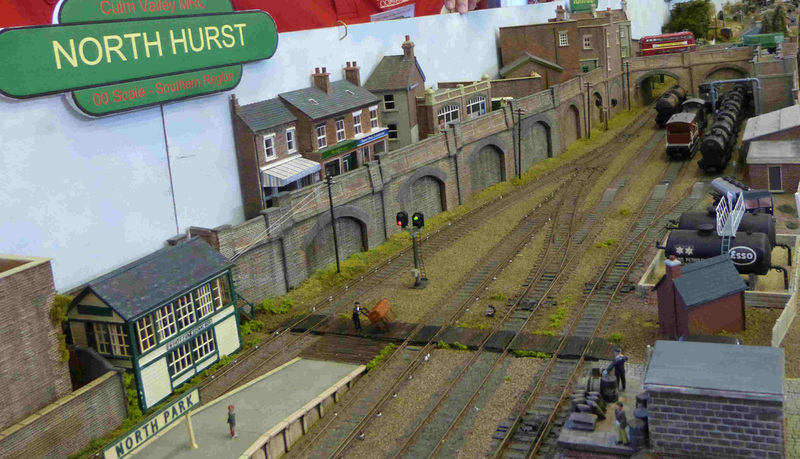 Chinehurst, originally a terminus but now a through station, represents a sleepy backwater with a superb scrap yard. North Park is based loosely as a South London suburbs terminus with a small oil depot. 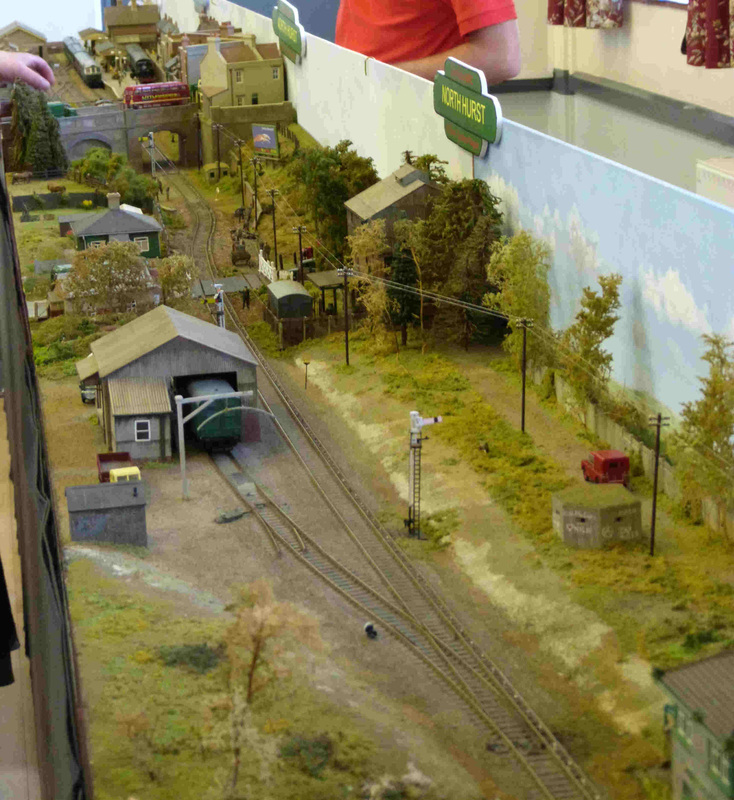 This a very popular layout with the public & discerning modeller alike with 1960’s steam, diesel & now electric trains allowing for interesting operation & viewing, with something moving at all times.